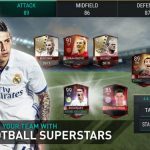 FIFA Ultimate Team is no more; in its place is EA Sports’ renamed and re-launched version of the game, FIFA Mobile (iOS/Android). Once again, you have the chance to build your team, set your formations, and set your starting lineups; the game comes with over 30 leagues, 650 teams, and 17,000 players, all from the real-life world of soccer/association football. It’ll be up to you to make the right decisions when playing games, as you change tactics and make substitutions on the fly, and it will also be on you when it comes to setting up your team and choosing your starters. In order to turn your team into a powerhouse, you’ll need a lot of coins, which are the game’s common currency. But it would seem as if EA Sports has made some adjustments to make it harder for players to earn that currency. 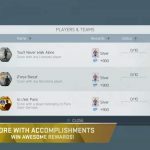 That’s nothing surprising, as developers tend to make things challenging if players had been having their way in a previous version, but fortunately, you can still earn a ton of coins in the new game. Here’s our newest FIFA Mobile strategy guide, where we shall talk about the ways you can earn more coins and do so quickly. This is more of a warning than an actual tip, but for what it’s worth, we’re mentioning it anyway. 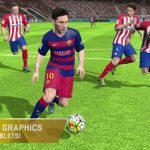 Other websites have been offering unauthorized, third-party hacks and cheats for FIFA Mobile, and it goes without saying that you should be very, very careful with these apps. Oftentimes, they may contain viruses that could compromise your device – watch out, Android users, as it’s especially common on that platform. And even if the hacks do work, they could get you perma-banned from the game; developers weren’t born yesterday, you know! So with that all said, we would strongly advise you to avoid all those hacks that promise an easier time at getting coins. This may take some time, but this is arguably the easiest way to earn coins quickly in FIFA Mobile. The first thing to do here is to set your filters in the game’s Market so that you only see players rated 70 and above, with their Buy it Now price listed between 500 and 1,800 coins. You may want to adjust the upper value to 2,000, or maybe even 2,500 coins if you aren’t able to find any of these high-quality players at such a low price. Your goal here is to bid for players on the cheap, those who haven’t been snapped up by other players. Once you’ve gotten the new player on the cheap, you can then sell him to other managers. But don’t go overboard and overprice your player; you should actually play it more subtly, placing the player back on the market with a starting price equal to the amount of coins you had spent earlier, and raising the BIN value by a couple hundred coins. Once you’ve set the BIN price, you can set the timer to about eight hours or so. More often than not, someone will pay up immediately at the BIN price, and you’ll earn a profit in the process. And as you keep repeating this tactic when buying and selling players, you can earn a tidy overall profit and use the strategy with a higher player rating threshold, thus giving you more chances to earn coins. This won’t always work out, as players tend to become more expensive over time as a new game becomes older. But for the meantime, this is a great way to earn coins quickly. FIFA Mobile offers new Live Events every day, and you’ll get a nice coin bonus for completing your first Live Event, sort of a welcoming gift for new players. There are also Live Events which you can replay without limit, allowing you to earn a lot of coins once the event expires. So if you need coins and need them fast, focus on the Live Events, and don’t play the Attack Mode too often until you’ve earned enough to dial down on the Live Events a bit. You will only be able to start a season once you reach level 8, so this may take a while if you’re a new player; you may need to get your feet wet quite a bit and level up in order to start a new season. The season rewards per game are quite attractive – you can get 800 coins per win and 400 coins per draw, and you can also earn trophies along the way and get some bonus coins on top of the ones you get via wins and draws. Be as active as possible when playing the game, and you should earn a lot of coins through this method and the ones above. 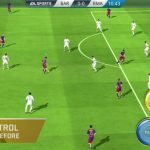 These would be our tips and tricks to earn more coins in FIFA Mobile. Do you know more tips for the game? Let us know in the comment section!